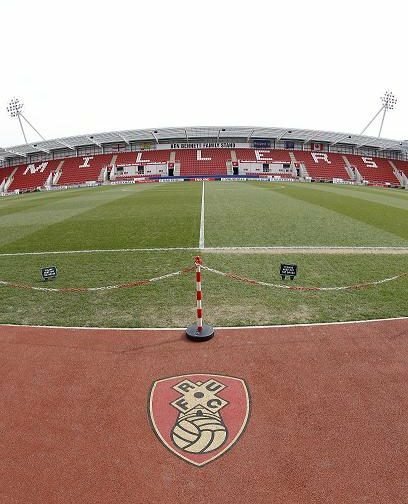 Rotherham United welcome West Bromwich Albion to the New York Stadium this afternoon in a game which sees the Millers start the game in twentieth position and Albion just below the automatic promotion places in third. A late goal last weekend saw Rotherham get a home point against Reading while the Baggies also came from behind at South Yorkshire neighbours Sheffield United to win two-one. The Millers will have Sean Raggatt back available after illness laid him low last weekend but the game will come a little early for Kyle Vassell who has had further scans this week with it being hoped he will be back training between Christmas and the New Year. West Brom will be pleased to welcome Kyle Bartley back in the squad after the central-defender has been out with a knee injury since October. The Baggies will also have injured pair James Morrison and Hal Robson-Kanu back. Tony Harrington from Cleveland has the whistle this afternoon.